SLP Environmental was appointed to undertake an environmental & social due diligence (ESDD) assessment and an environmental & social impact assessment scoping study (ESIA SS) for a proposed 7,000 hectare plantation Project located in NE Cambodia. The client was considering entering into an economic land concession agreement with the Cambodian government and commissioned SLP to conduct the studies as part of the their internal corporate due diligence and social responsibility process. The primary objective of the overall study was to assess whether there were any potential environmental or social concerns associated with developing the land concession that could have a material effect on the transaction or hinder the successful implementation of the Project. The assessment comprised of a preliminary site reconnaissance and environmental and socio-economic appraisal focused on gathering data on the existing conditions at the Project site and how these may be impacted by the proposed development. 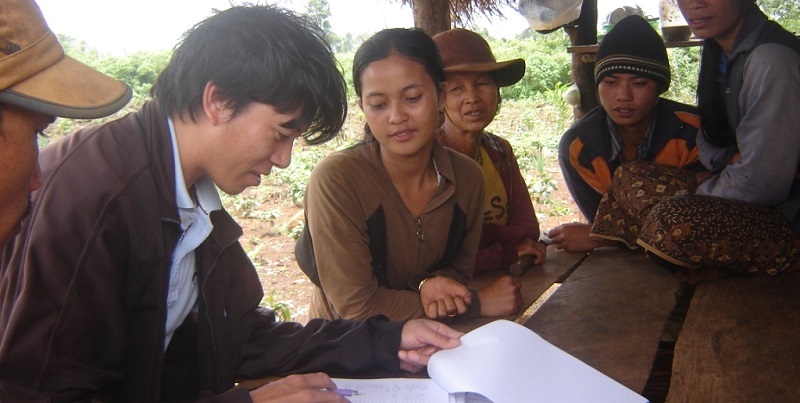 A Senior Environmental Scientist and Ecologist surveyed and recorded any significant environmental or ecological features whilst a Social Scientist held informal and preliminary consultations with local people. These preliminary studies were conducted in order to develop an environmental & socio-economic profile of the Project site area. In tandem with the field works SLP consultants conducted desk study and a review of secondary data pertaining to the statutory framework in Cambodia, the site setting, the physical environment, terrestrial ecology, flora and fauna, protected & ecologically sensitive areas, sites of archaeological, religious or cultural significance and the socio-economic & cultural setting in the Project site area. Following the data collection stages, a concise Environmental and Social Due Diligence Assessment Report was produced which described the proposed Project in the context of the site setting and identified the most likely significant environmental and socio-economic cultural impacts of the proposed scheme. The report was written cognizant of The Equator Principles, International Finance Corporation (IFC) Performance Standards (2012) and Government of Cambodia regulatory requirements.